At Smart Education, the ETS TOEFL representative offers “TOEFL Primary English Learning Centre” for students ages 7+, the program lets students enjoy interactive lessons and enhance their reading, listening and speaking skills. 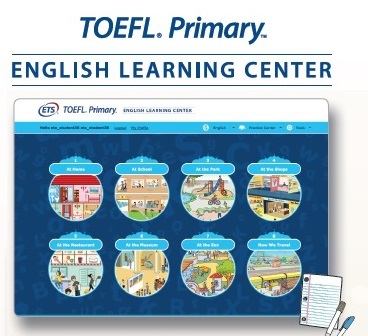 The TOEFL Primary English Learning Centre is appropriate for a range of proficiency levels, teacher can select the activities that are most appropriate for their students, customizing the learning experiences. This efficient learning assessment system with automated feedback that indicates areas of strength and areas for improvement. Please click http://www.toeflprimary.com.hk for more information. For application, please complete the form and fax to +852 2851 8422 or email to info@mysmartedu.com. Enquiry hotline: +852 2851 3822.